Now that I’ve finished my MSc (still waiting for the results) I am finally able to get going with all of my crafts again. 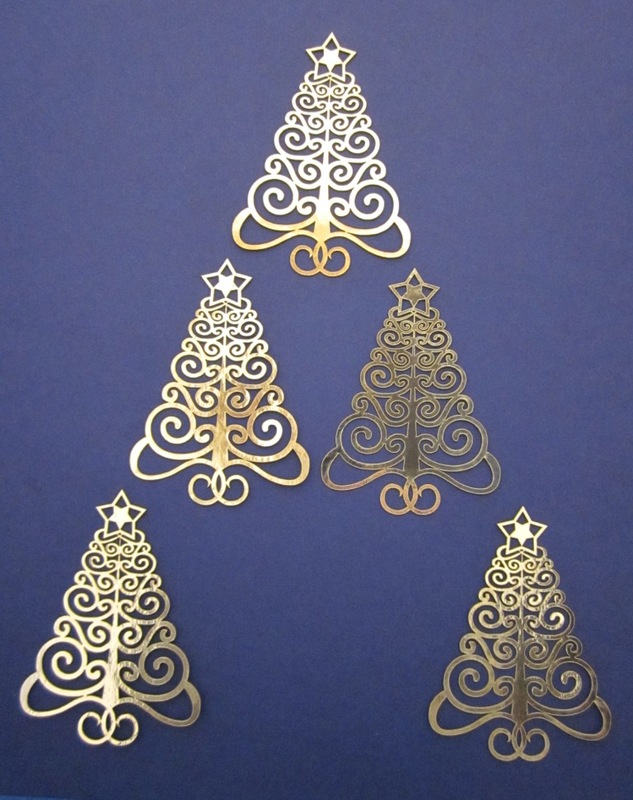 This week I have mostly been testing out my laser cutter, and trying to create laser-cut designs for cards. 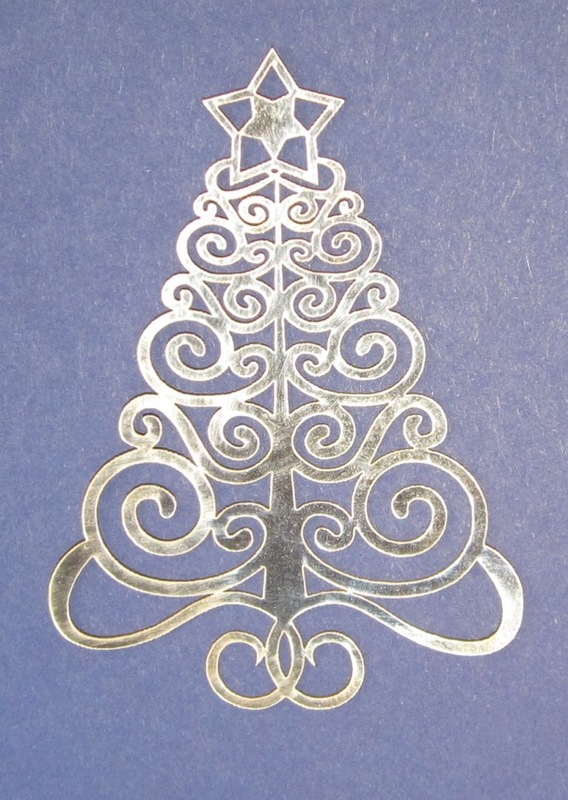 So far I’ve made a pop-up sleigh, aeroplane, butterfly, present, and moving-house designs (pics to follow). I think I’m going to put some on ebay. Shame I can’t put them on etsy, as they aren’t handmade. Even though it took me days to design and tweak them. In fact, I was working on them for so long that I got a bit sick of them – but then when I showed one to my friend Joy, she put it against a dark blue background and it instantly looked lovely. Previous Previous post: Woo – Bead Barmy have created a ‘blog post’ about me. Hi Elizabeth – sorry, I’ve only just seen your message. Yes, I’m cutting paper with the laser (an “Epilog” model). It was expensive – they all are – but it’s fairly low-powered (45Watts, I think). Paper, wood, card and natural fabric do all scorch a bit round the edges. On wood I think it often looks quite appealing (after all, pyrography is a whole craft in itself! ), but on paper the trick is to experiment with the laser cutter’s power settings, to get as little scorching as possible. I don’t think there’s a way to completely avoid it. Even the items you can buy in shops have that telltale marking around the edge – e.g. I’ve seen cupcake holders in my local supermarket, and miniature doilies in a craft shop, and they both have light brown edges. 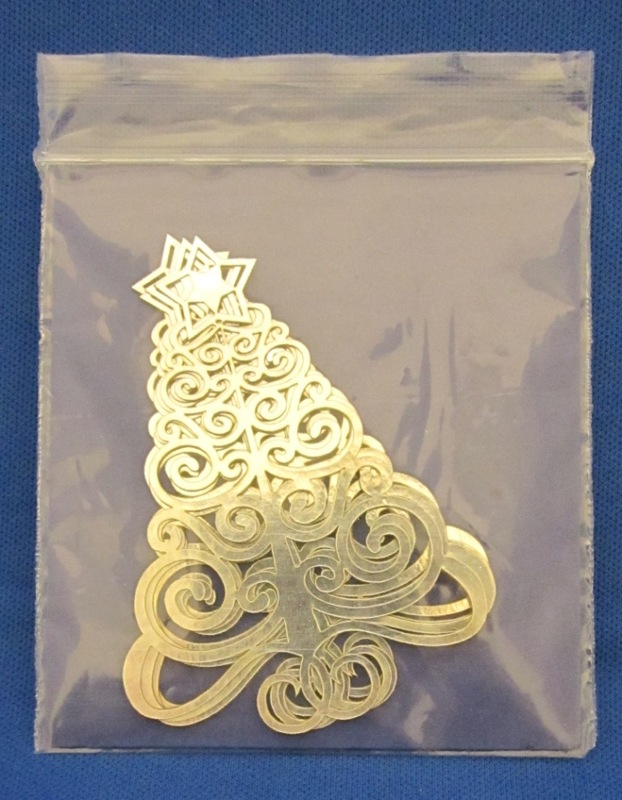 Even if/when lasers become cheaper to buy, there will definitely still be a place in the craft world for punches and die-cutting and robo-cutting machines, because of the need to find the right tool for the right job. If you need to make wedding stationery with white paper objects on a white paper background, then a laser cutter might not be the right tool. 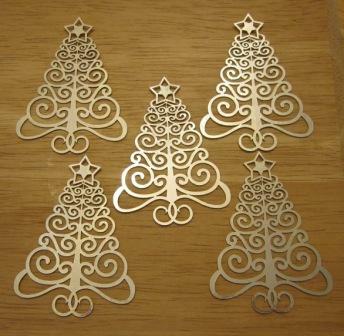 But if you need to make complex swirly filigree Christmas tree toppers, then I think it definitely IS the right tool! Wow – that is great news! Thank you so much for taking the time to tell me – I would probably never have found out otherwise! You CAN put them on Etsy. Etsy is no longer a “homemade” selling website. I was disappointed when I went to put some of my makeup (yes, we manufacturer it ourselves) on Etsy, only to find that several people were selling “bought” makeup for less than I could make it. So, I wrote a question to the Etsy CSR’s and was told that they wanted it to be only handmade items, but “unfortunately….blah, blah, blah”. Basically, we, the crafters were sold out. They decided to join the ranks and let sellers sell whatever they wanted to. It’s always a money thing.